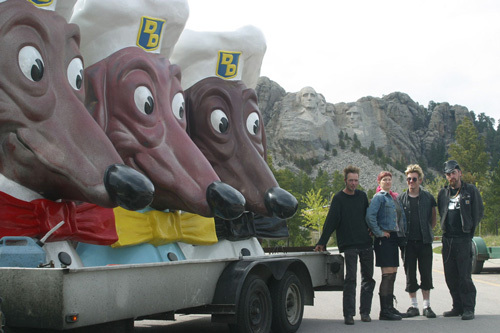 The theatrical premiere of “Head Trip”, the documentary about the 2003 Doggie Diner Dog Head cross-country road trip, takes place this Thursday, April 3rd as part of The First Annual Pranks Film Festival at The Roxie Cinema in San Francisco. The screening will feature a live interview by V. Vale of RE/Search Publications with the filmmakers John Law and Flecher Fleudujon. “Head Trip” was produced by Central Services and Truth Serum Productions, in affiliation with Laughing Squid. Here’s the “Head Trip” tailer.